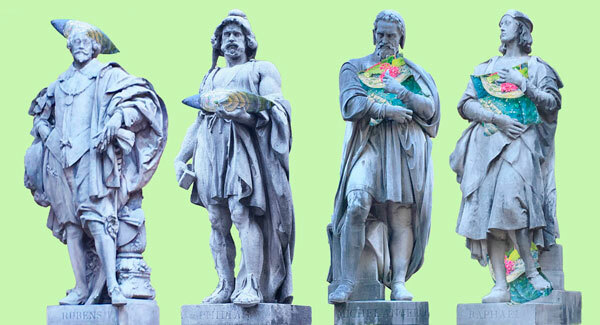 Last week, we spent a lot of time walking round the city re-visiting its beautiful sights. 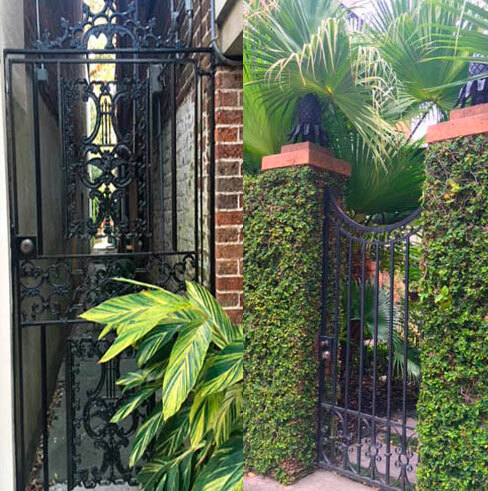 Savannah is such a beautiful combination of old standards- elegant hand wrought materials and lush green you never get tired of. I’ve put together some eye candy to take away the chill from a snowy couple days in the northeast. 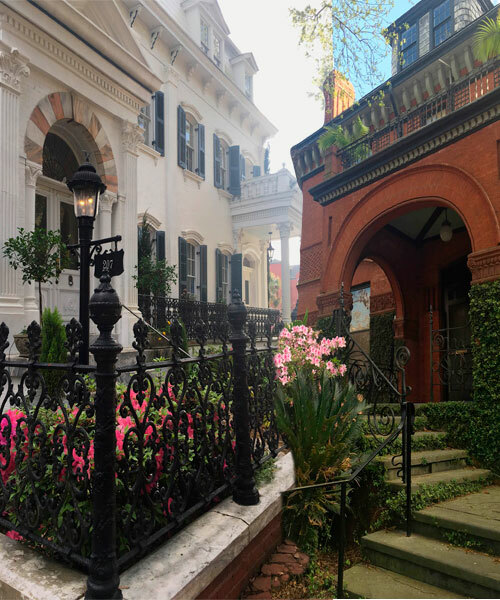 There is nothing quite so wonderful as Savannah in early Spring before the summer hits. 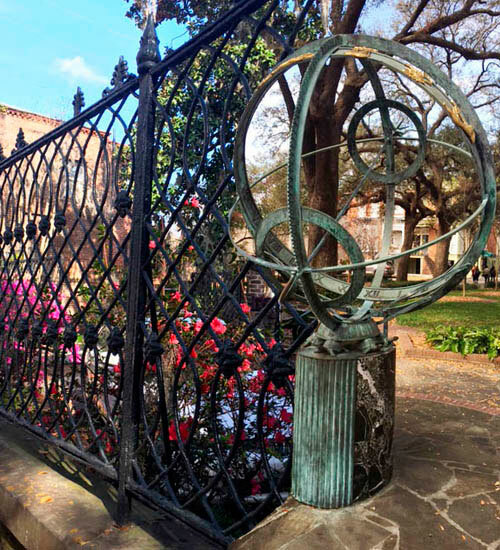 Savannah gates of black iron abound in the historic district. Who can resist stopping and staring- there’s often water in there somewhere! Everywhere you go, you’ll find wrought iron. But who knew an astrolabe would be in the center of a quiet plaza- its green patina as a complement to the brick and stone floor. Imposing brick and masonry houses each command entire block corners. And wrought iron of course. 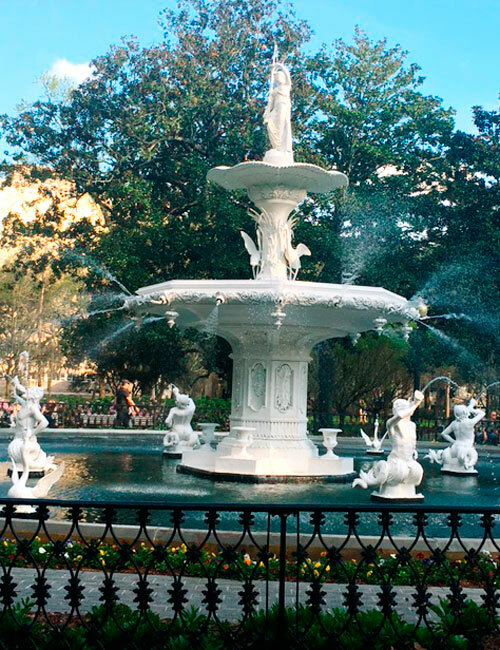 Forsyth Park, Savannah’s historic green place, is over 30 miles in size, the fountain its crown jewel. A day trip to Wormsloe -outside of Savannah, didn’t disappoint. Informally known as the Wormsloe Foundation you can feel its history while strolling through the woods – this was one of the first plantations built by Georgia founding fathers. 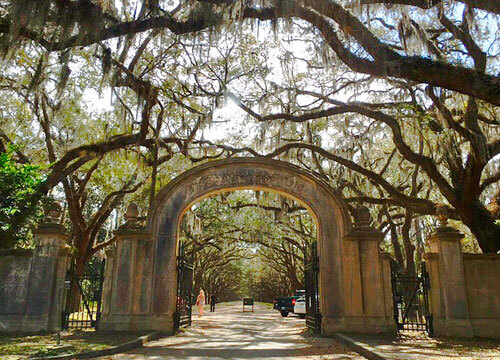 The live oaks and Spanish moss stretch over a mile, arching across the drive creating a legendary arbor for the property entrance. A new album by Bridget Kearney, songwriter and bass player for the group Lake Street Dive, on her first solo album. Meet the entire Paola line- They’re waiting for you to bring them home!